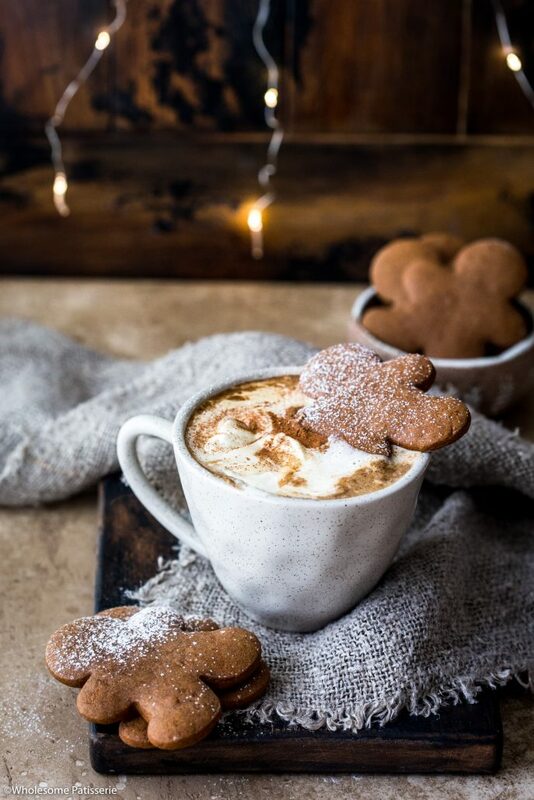 There’s nothing like a heartwarming mug of goodness, especially during the holidays and when it’s a homemade latte that’s gingerbread flavoured. Oh yes, gingerbread my friends, that’s epic! There are more ingredients in this latte than your average latte but I find that completely acceptable as you’re going to be replicating the flavour of gingerbread. The toppings are also completely optional but highly recommended. I had a batch of my gingerbread men cookies already prepared, so I used those. This is my gingerbread cookie recipe, which you can make because duh, it’s Christmas! 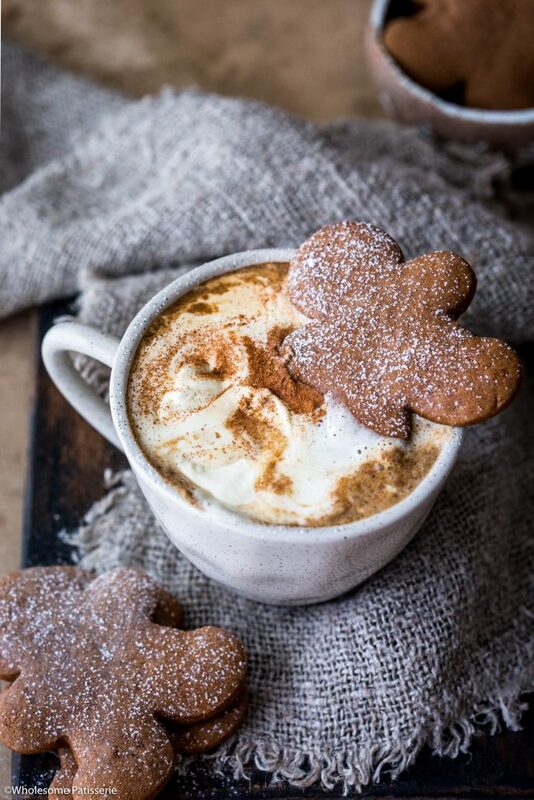 They’ll last you for over a week and you can top them on your gingerbread latte’s! The addition of the whip cream makes for a creamy and smooth texture. A dusting of cinnamon is the perfect finishing touch. 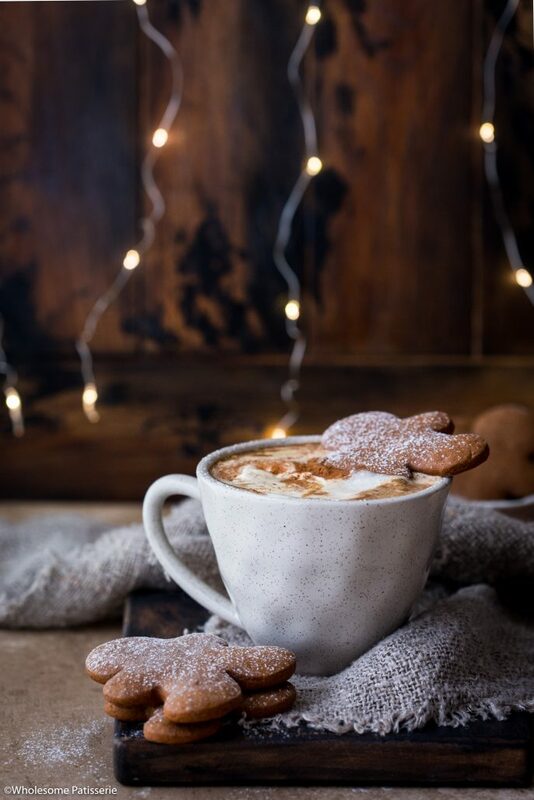 How will you enjoy your gingerbread latte? On those cosy evenings leading up to Christmas? Me too! Enjoy! In a small mixing bowl, combine molasses, maple syrup, vanilla, ginger, cinnamon and nutmeg. Mix until well combined. In a medium sized saucepan over a medium heat, add milk and then whisk through molasses mixture. Whilst milk is heating, prepare the 3/4 cup of coffee and set aside. Once steam begins to come off the surface of the milk, reduce heat to low and stir through coffee. Heat through until desired drinking temperature. 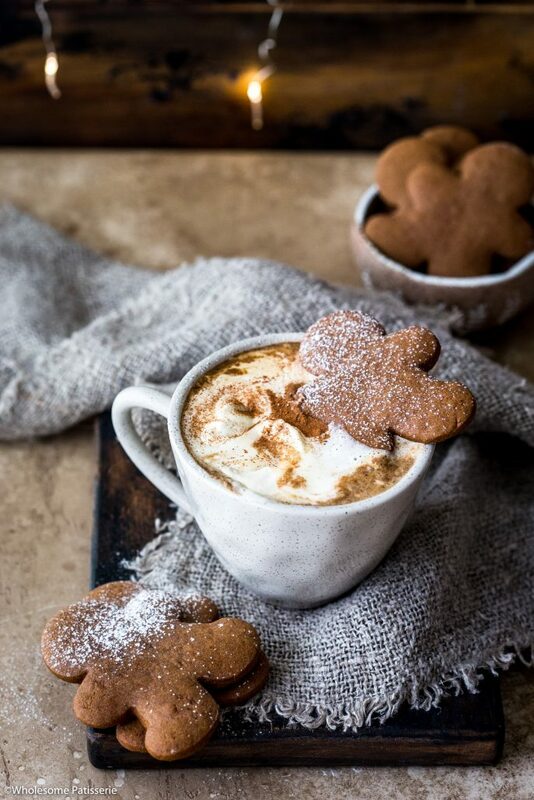 Pour into coffee mugs and top each with whipped cream, a dusting of cinnamon and a gingerbread man. *Make my gingerbread cookie recipe or use store-bought gingerbread men.